San Rafael is home to so many beautiful and distinct neighborhoods. Find out more about the fabric of our city and connect with your neighbors. The City Council and City staff meet monthly with representatives from neighborhood associations to discuss important City issues. These meetings are open to the public and held the last Wednesday each month at 4 p.m. at City Hall. Sign-up to get the agendas by email. 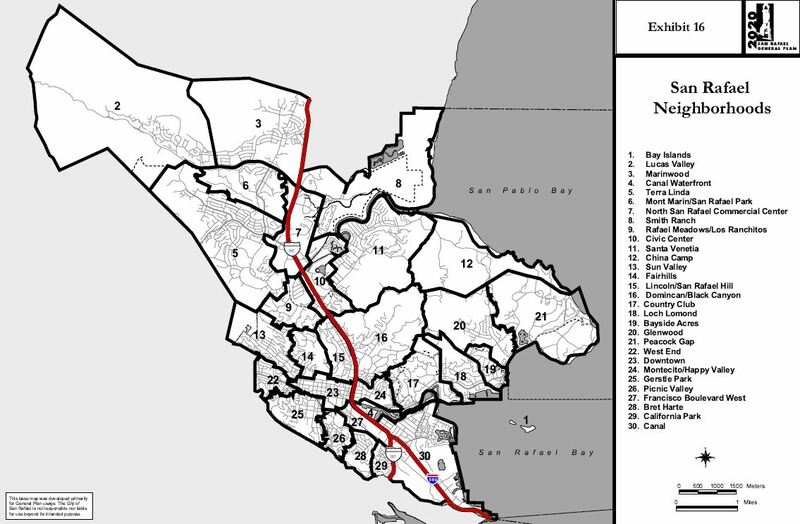 Three umbrella organizations serve geographic groups of neighborhoods: Federation of San Rafael Neighborhoods (south & central, 94901); North San Rafael Coalition of Residents (north, 94903); and the Point San Pedro Road Coalition (east, 94901).